POW! WOW! Worldwide presents "Stranded in Paradise". 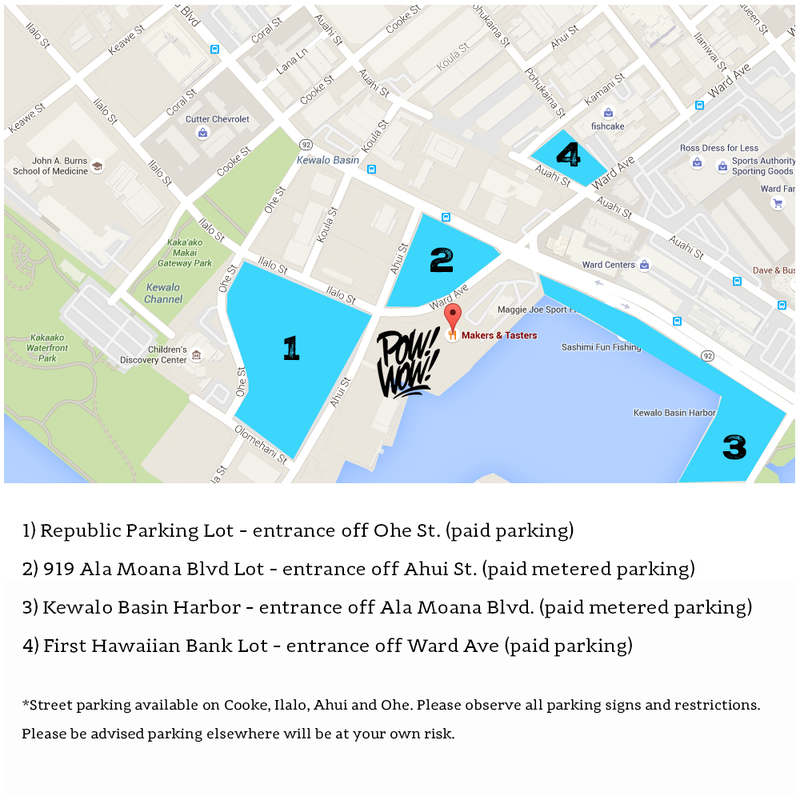 A concert with The Green and DJ Babu and Rakaa Iriscience of Dilated Peoples on February 13th, 2016 at Makers and Tasters (Old Fishermans Wharf) from 4pm to 10pm. This year we present "Stranded in Paradise". 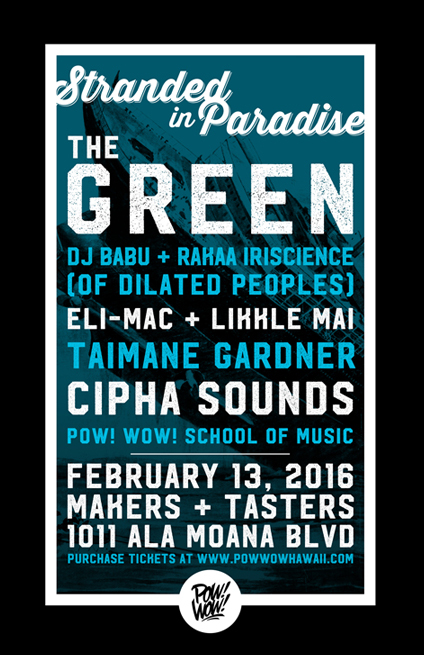 A live-music concert with The Green and DJ Babu and Rakaa Iriscience of Dilated Peoples on February 13th, 2016 at Makers and Tasters (Old Fishermans Wharf). The event will also feature Secret Walls street art battles, b-boy competitions, the best food trucks, retail booths and more.